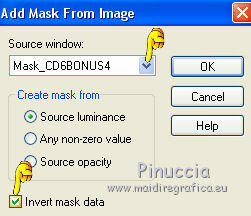 Open the mask and the pattern Black_White_Nines in PSP and minimize them with the rest of the material. 1. 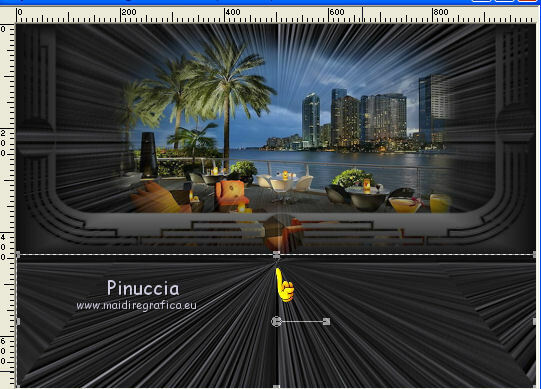 Open a new transparent image 1000 x 450 pixels. 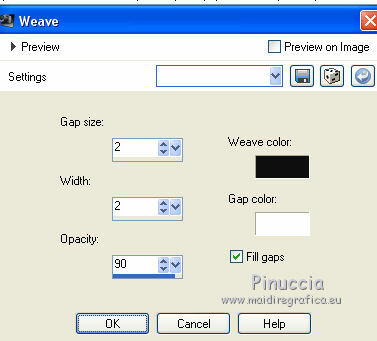 look for - under Open images - and select the pattern Black_White_Nines. 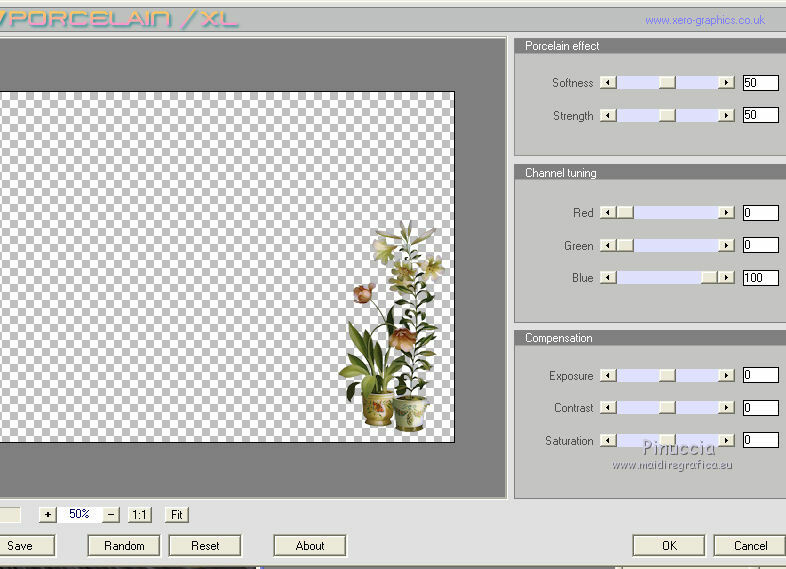 Flood Fill the transparent image with your Pattern. 4. 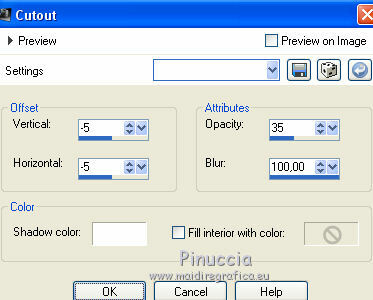 Effects>User Defined Filter - select the preset Emboss 3 and ok - 2 times. 5. Open MR_Miami Cafe Sambal - Edit>Copy. 8. 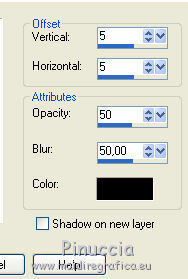 Effects>3D Effects>Drop Shadow, color black. 10. 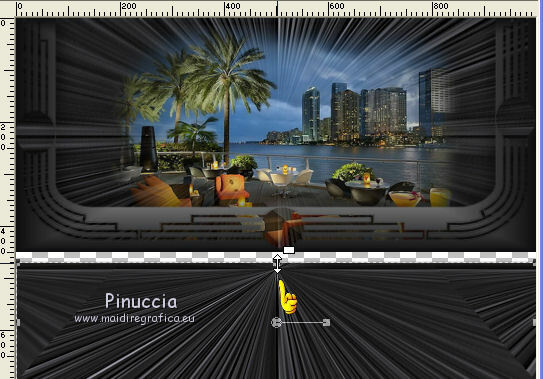 Image>Canvas Size - 1000 x 700 pixels. Flood Fill the layer with the pattern Black-White_nines. 12. Adjust>Blur>Radial Blur, same settings. 14. 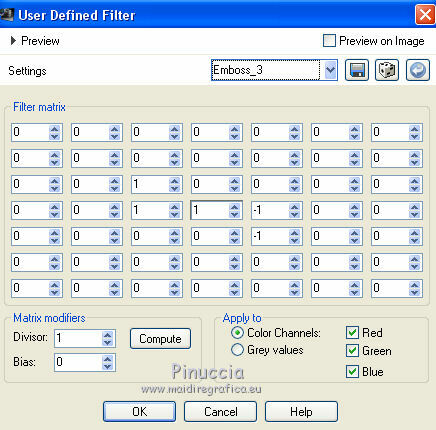 Effects>User Defined Filter - Emboss 3 - 2 times. Open the tube by Lily - Edit>Copy. 18. 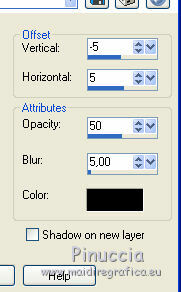 Keep the shadow layer selected. Open the tube H@nne_Fabrice3DeVilleneuve-CachePot - Edit>Copy. 20. Effects>Plugins>Xero XL - Porcelain, par défaut. 22. Open the texte Texto_Cafe-Sambal-nines - Edit>Copy. I have resized to 90%. Move the text at the bottom. 24. 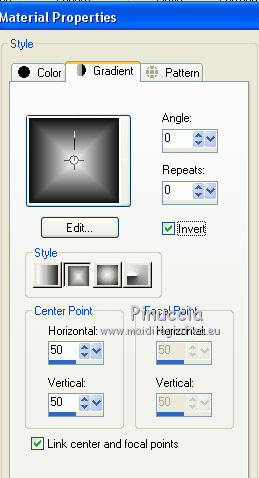 Image>Add borders, 2 pixels, symmetric, color black #000000. 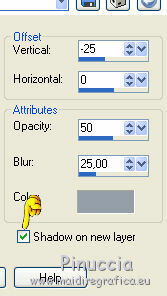 Image>Add borders, 30 pixels, symmetric, color #8e9ea6. 26. Effects>Textures Effects>Weave, same settings. 31. 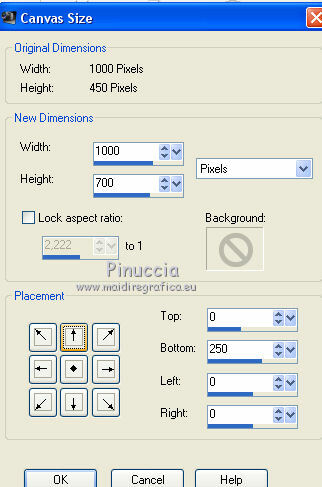 Image>Add borders, 2 pixels, symmetric, color black.